The number of children in England having their teeth removed because of decay has increased for the fourth year in a row, new figures suggest. 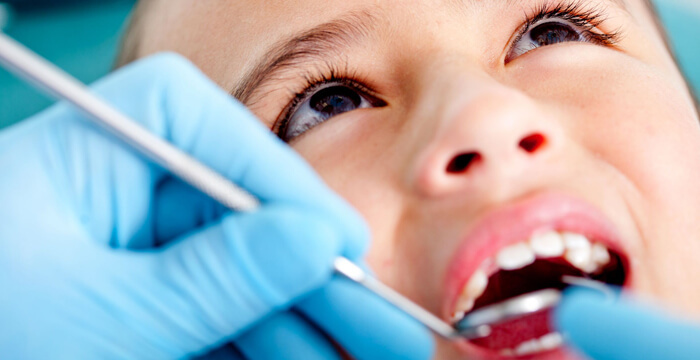 Nearly 130,000 children aged 10 and under have had decaying teeth removed by dentists. The Chief Dental Officer for NHS England, Sara Hurley, described the figures as “disappointing”. She said children in England drank more sugary drinks than anywhere in Europe. “Even though people understand the impact of a sugary diet so many children have advanced tooth decay – a highly preventable disease,” said Ms Hurley. London was the region with the most child inpatients for decay last year, at 8,362 cases, followed by the North West at 6,672 and Yorkshire and the Humber at 6,413. Tooth decay is caused by plaque collecting, in particular, around the gum line, the edges of fillings and the grooved surfaces of the teeth. Plaque is made up of food debris, saliva and bacteria normally present in the mouth. The acids generated by bacteria breaking food down can begin to attack tooth enamel within 20 minutes of a meal. If plaque is allowed to collect over time it will harden into tartar. Both tartar and plaque contain acids which, over time, can dissolve the protective, hard, enamel coating of the tooth and create holes, or cavities. Most cavities form over a period of months, or even years. They are usually painless, but they can grow very large and damage the much softer internal structures of the tooth such as the dentin and the pulp, which is found at the core. If they remain untreated, they can kill the nerve and blood vessels of the tooth, and ultimately the tooth itself. The most obvious sign of tooth decay is toothache, particularly after hot or cold food or drinks. Pits or holes may also be visible in the teeth. Plaque and tartar also irritate the gums, and lead to a gum disease called gingivitis.